David Kherdian, as it happened, used many lenses himself as a writer, and his friends in the business of writing were many and varied. 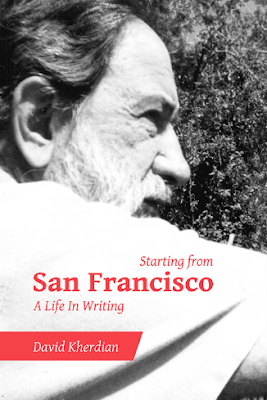 In San Francisco, he knew Ferlinghetti, Snyder, Whalen, Meltzer, Everson, Saroyan. He also knew many of the publishers and printers, and was the first of the few who published a singular and luminous bibliography of their work – this was in the sixties, well before fame had sprinkled gold dust on these now legendary literary names. When I traveled with Kherdian to San Francisco he took me to Richard Brautigan’s house where the author had painted his bare feet in different colors so that the floor was imprinted with his footprints. That way, stoned or drunk, he could find his way from room to room in the dark. Ferlinghetti was cool. His motley dog Homer was even cooler. 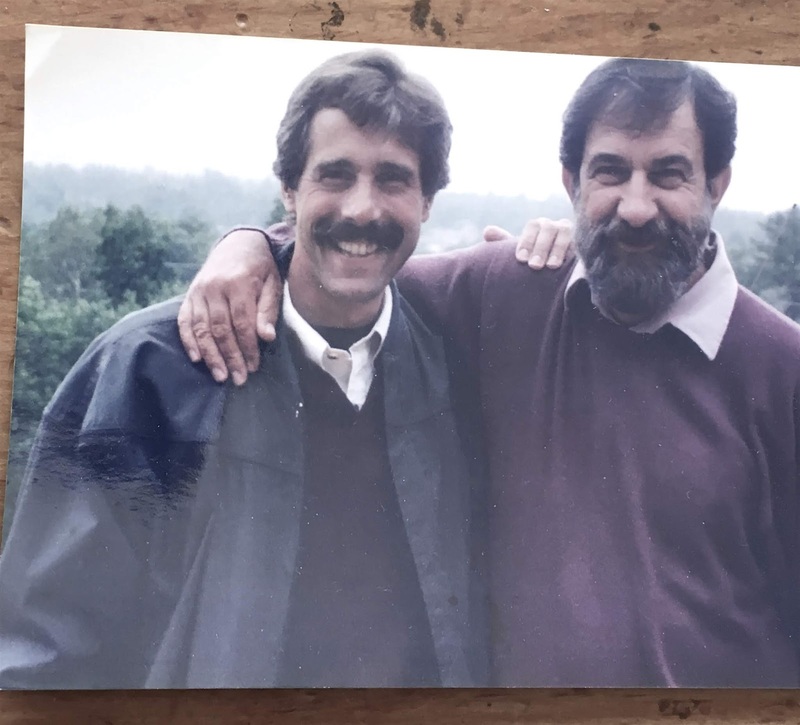 Philip Whalen became a lasting influence on Kherdian and me – he was humor personified. He didn’t take himself seriously, but rather very seriously/humorously all the time. Thus the quintessential Zen poet – to this day! Starting From San Francisco is much more than an enjoyable read. It is an author’s travail, almost a how-to on how-not-to become a writer, because for DK the journey was undeniably rough. He didn’t find himself easily or quickly. Maybe the legendary writers he surrounded himself with helped; maybe they didn’t. Possibly it was Saroyan who pushed him to become what he inevitably became, an award-winning writer. And it was Saroyan who helped Kherdian see that he was, first and foremost, an Armenian writer, secondly a poet, and finally, a small press publisher. Kherdian was one of the earliest small press publishers of what later became known as “city anthologies”. These were regional by nature but often, especially under Kherdian’s editorship, collections of soon-to-be prominent university and city-recognized poets. This was a new medium and DK’s collection, Down at the Santa Fe Depot: 20 Fresno Poets, was an “instant success” as DK calls it in his memoir. It was first in the series, and I used it myself when I was a creative writing teacher at The Windsor Mountain School in Massachusetts and also at Connecticut State College in the early 70s. But one doesn’t have to read Kherdian’s chronicle as a history of the 60s poetry renaissance. One can read it as the author’s own emergence, despite every obstacle imaginable, to find his own voice as a writer. He does, as a poet. And then, later on, as a writer of memoirs. There is of course the award-winning story of his mother’s escape from Turkey during the Armenian genocide. This book, The Road From Home, was a Newberry Honor Book and went into dozens of foreign editions.